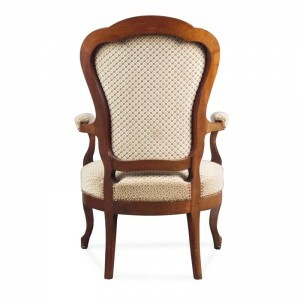 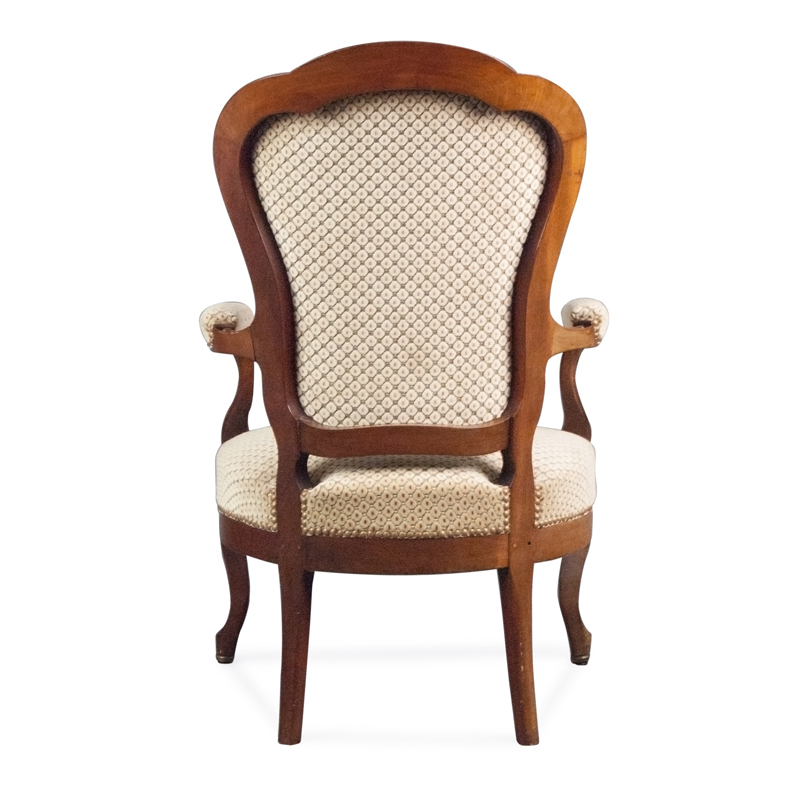 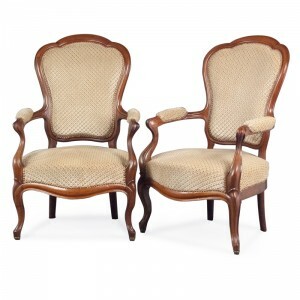 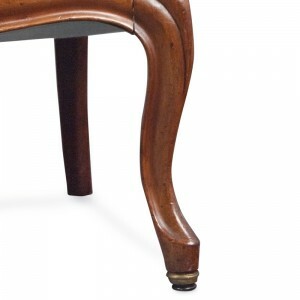 Handsome and fine quality pair of French mahogany framed open armchairs, having upholstered cartouche shaped backs, scroll arms, upholstered seats, and cabriole front legs. 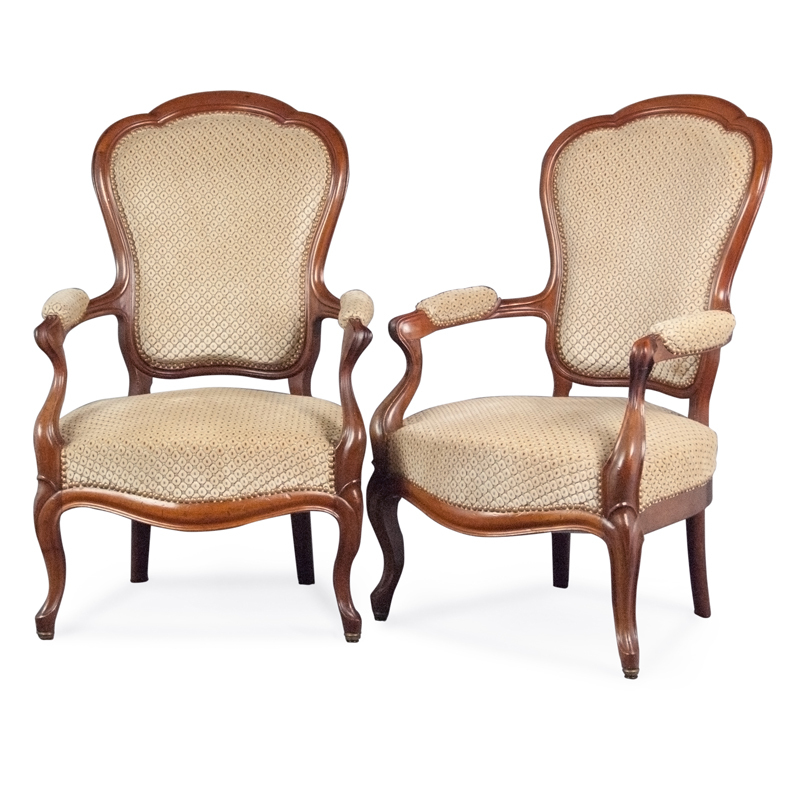 These chairs are in untouched original condition (apart from having been re-covered at some point prior to our ownership) and are structurally completely sound. 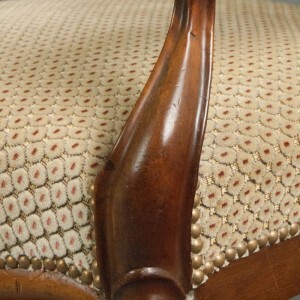 The polish is attractively faded in some areas, but not seriously. The original horsehair upholstery is sound, and the covering is in very good condition with only extremely minor marks and fading.